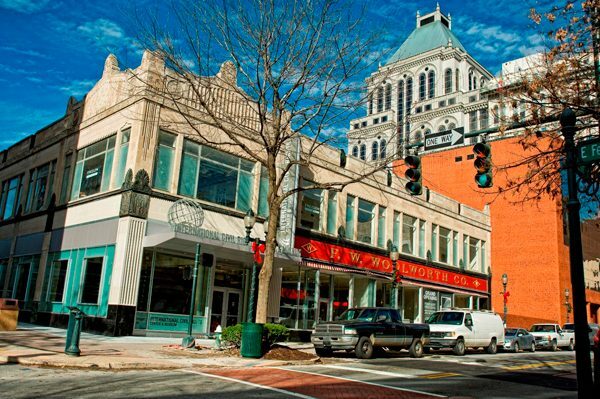 Before Rosa Parks in Montgomery, there was Sarah Mae Flemming in Columbia. 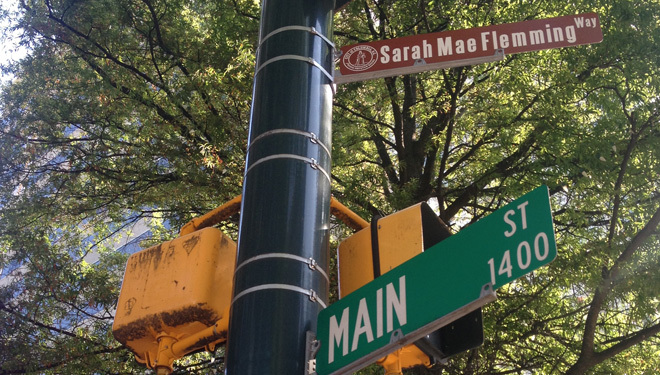 On the morning of June 28, Columbia, South Carolina, unveiled a street sign at the intersection of Main and Washington streets Columbia to rename the corner “Sarah Mae Flemming Way” in honor of the Civil Rights activist and trailblazer. Flemming made history on June 22, 1954, when, at the young age of 20, she boarded a crowded bus operated by South Carolina Electric & Gas Company. When asked to leave her seat and move toward the rear, Flemming violated racial custom by attempting to exit from the front of the bus. The driver struck and ejected her from the bus on the corner of Main and Washington streets. 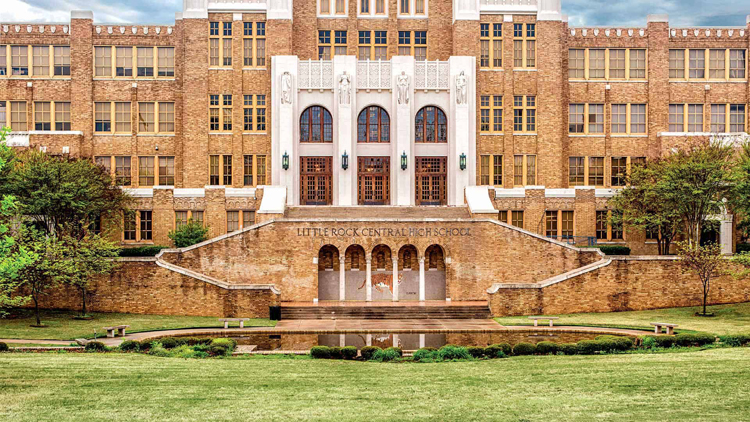 After Flemming was ejected from the bus, the NAACP filed a lawsuit on her behalf, and in July 1955, the U.S. Fourth Circuit Court of Appeals ruled that the Brown vs. Board of Education desegregation mandate applied to public transportation. The ruling was cited in the lawsuit that brought an end to the Montgomery Bus Boycott, made famous by activists Dr. Martin Luther King, Jr. and Rosa Parks. Flemming died in 1993, and even at her death, Donaldson says her family knew very little about her contribution to the Civil Rights Movement. During his research, he found a quote in which she said she did what she did hoping that others might not experience the indignities she faced. Even though Flemming didn’t want recognition for her heroic act, Donaldson believes a street sign at the intersection where she was assaulted and ejected from the bus is an appropriate way to remember her in Columbia. “For young people who know about the larger movement, I think signage and other recognition for her really provides a landmark for her contributions and permits us to refelct more and hopefully provide some lessons about individuals who are willing to challenge unfair circumstances,” he says. Columbia’s commemoration continued June 30 with a showing of “Before Rosa: The Unsung Contributions of Sarah Mae Flemming” at Richland Library as a part of the Nickelodeon Theatre’s Civil Rights Sunday film series. 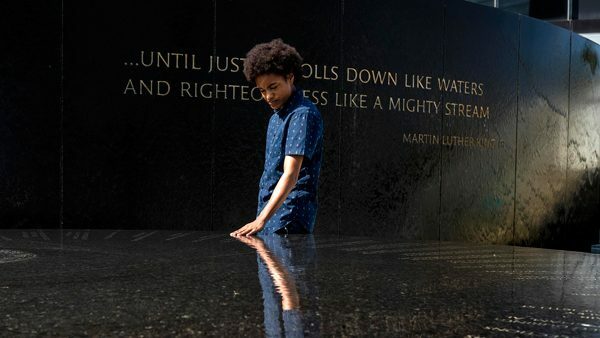 Columbia joins Birmingham, Selma and Montgomery, Alabama, Memphis, Tennessee, Jackson, Mississippi and Washington, D.C. in the national commemoration of the Civil Rights Movement of 1963. 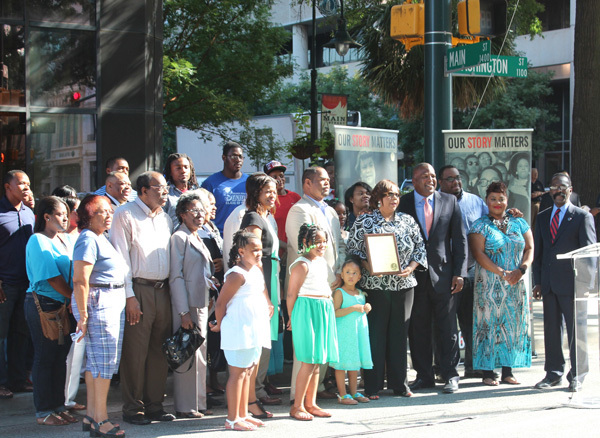 Find out more about the national commemoration of the Civil Rights Movement in 50 Years of Civil Rights. 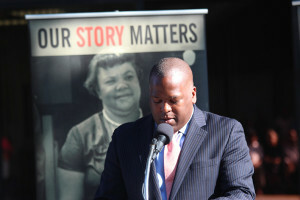 Photos courtesy of Columbia Metropolitan Convention & Visitors Bureau.